The Gulf Centre for Human Rights (GCHR) and partners have submitted two submissions ahead of Qatar’s Universal Periodic Review (UPR) in 2019 about conditions for civil society, including threats to human rights defenders and freedom of expression, as well as a submission focused on digital rights. The submissions contain recommendations to the Qatari authorities. GCHR and CIVICUS made a submission focusing on civil society, examining conditions for human rights defenders, freedom of expression, human rights institutions, freedom of association and freedom of assembly. During its second UPR cycle in 2014, the Government of Qatar received 31 recommendations relating to the space for civil society (civic space), including recommendations to ratify international human rights protocols. 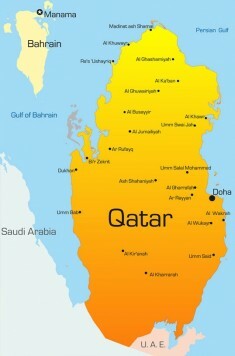 Of these recommendations, 24 were accepted and seven were noted, including to “release all prisoners of conscience, including the poet Mohamed Al-Ajami, and to respect the rights of all individuals to freedom of expression.” An evaluation by CIVICUS and GCHR demonstrate that Qatar has not implemented 13 recommendations relating to civic space, and has partially implemented one. “While the government has made significant strides in signing international human rights treaties, such as those related to civil, political, economic, social and cultural rights, these have been done with reservations that limit the application of these,” says the submission. Further, Qatar has persistently failed to address unwarranted restrictions of civic space since its last UPR examination. Please click here for the submission.